WATCH: Week ahead - new start for Greece, but currencies in end game? Oil traded near $67 a barrel as investors weighed an expected decline in American inventories against the US government’s plans to release crude from its emergency stockpiles. Futures in New York climbed 0.5%. The US government will offer 11 million barrels of crude from its Strategic Petroleum Reserve, a move that could help offset a tight oil market from sanctions on Iran’s exports. Stockpiles in the shale country are expected to have declined last week. Meanwhile, investors are also awaiting trade talks between China and the US, and Federal Reserve chairperson Jerome Powell’s speech later this week. The planned release from the US SPR “could curb a rise in crude prices,” Takayuki Nogami, chief economist at Japan Oil, Gas and Metals National, said by phone. Oil has declined for seven straight weeks as uncertainty over a US-China trade standoff and the risk of economic turmoil in Turkey spilling over into other emerging markets weighed on prices. Investors are also closely watching supplies from the US and the Organisation of Petroleum Exporting Countries before American sanctions on Iran’s oil take effect in November. The measures may curb the Persian Gulf nation’s exports by as much as 1 million barrels a day. West Texas Intermediate crude for September delivery, which expires on Tuesday, rose 0.5% to $66.73 a barrel on the New York Mercantile Exchange at 3:29 pm in Tokyo. The contract climbed 52 cents to $66.43 on Monday. The more-active October contract added 8c to $65.50. Total volume traded on Tuesday was about 53% below the 100-day average. Brent for October traded at $72.13 a barrel on the London-based ICE Futures Europe exchange, down 8c. Prices on Monday advanced 38c to close at $72.21. The global benchmark crude traded at a $6.64 premium to WTI for the same month. Futures for December delivery rose 1% to 496.4 yuan a barrel on the Shanghai International Energy Exchange. The contract dropped 1.1% on Monday. The release of crude from the US strategic reserve from October to December is viewed by the oil market as intended to help soften the impact of measures against Iran and lower gasoline prices for voters, Jogmec’s Nogami said. The renewed sanctions will take full effect in early November, followed by American midterm elections on November 6. 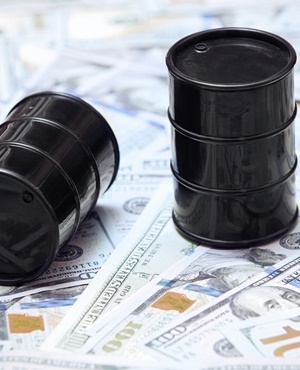 On the other hand, US crude stockpiles are forecast to have declined by 2 million barrels last week following a surprise gain a week earlier, according to a Bloomberg survey of analysts before the Energy Information Administration’s data due on Wednesday. Inventories at the Cushing storage hub in Oklahoma rose 900 000 barrels last week, according to a survey compiled by Bloomberg. In wider financial markets, Powell’s remarks at the Jackson Hole gathering in Wyoming on August 24 will be closely watched as investors seek clues on the outlook for the central bank’s plans. The Federal Reserve chairman’s speech comes after President Donald Trump was said to lament at a fundraiser last week that Powell had raised interest rates. In Washington, a Chinese delegation led by Vice Commerce Minister Wang Shouwen will meet their US counterparts for trade talks after earlier negotiations broke down. The announcement last week that the two countries are returning to the negotiation table spurred optimism a full-blown trade war could be averted. Negotiations between the US and China are scheduled for August 22 and 23, the Wall Street Journal reported. • A strike at the North Sea Alwyn, Dunbar and Elgin oil and gas fields has started. • Total SA has formally ended its contract for Phase 11 of the Iranian South Pars gas field, Oil Minister Bijan Namdar Zanganeh said, according to ICANA, the official news agency of the Iranian parliament.